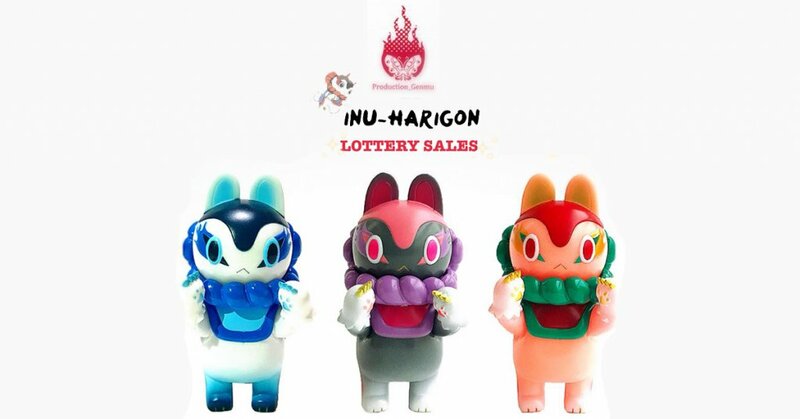 After travelling around the world for various conventions and shows Teresa Chiba has just announced that she’s offering her collectors who couldn’t pick up a few of her exclusive “INU-HARIGON” without having to pay the crazy aftermarket prices! Do we need to say any more about Teresa Chiba’s “INU-HARIGON” and how much we love it? We doubt it as we’ve been fans for a long time and made it to “Andy’s top 2016 top picks” these three are worth entering the lotto as they feature a couple of GID versions too. WHEN: January 3rd, 2018 (Wed) 12:00 to 12:30 Japan time. *Notice will be announced in 24hours after January 3rd.